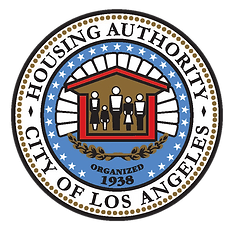 The Housing Authority of the City of Los Angeles (HACLA) seeks compelling proposals from Developers to transform the Rancho San Pedro (RSP) public housing site into a vibrant mixed-income/mixed-use community that interconnects with the neighborhood. HACLA is issuing this Request for Proposals (RFP) to procure the services of a Developer to redevelop HACLA’s Rancho San Pedro Housing Development. The procured services may be in paid in part by federal funds and the land may remain under HUD and other affordability restrictions. HACLA is procuring these Services using the procedures for competitive proposals authorized by the HACLA’s Procurement Policy. The City of Los Angeles has contributed $31,000 to defray costs related to planning activities and the development of this RFP. RFP Addendum #1 issued on November 21, 2017. RFP Addendum #2 issued on December 4, 2017. RFP Addendum #3 issued on December 15, 2017. Addendum 3 Attachment – Response to Question 26 – HACLA Utility Upgrade Work Summary. RFP Addendum #4 issued on March 20, 2018. RFP Addendum #5 issued on April 4, 2018. RFP Addendum #6 issued on April 25, 2018. RFP Addendum #7 issued on May 2, 2018. RFP Addendum #8 issued on May 9, 2018. RFP Addendum #9 issued on May 11, 2018. RFP Addendum #10 issued on May 14, 2018. RFP Addendum #11 issued on May 17, 2018. RFP Addendum #12 issued on May 17, 2018. RFP Addendum #13 issued on May 17, 2018. As part of Stage I, HACLA hosted a pre-proposal meeting and site tour on Tuesday, November 28, 2017 at 2:00 p.m. PST at the Rancho San Pedro site, located at 275 West 1 st, San Pedro. Attendance at this meeting was not mandatory to submit a proposal in Stage I. Please access the sign in sheet for onsite participants. The tentative schedule for the Developer RFP is listed below, please note the schedule is subject to change at HACLA’s sole discretion. Developers must download, fill out and submit each of the following forms listed below as part of their response to HACLA’s RFP. Only Stage I forms are required in the Developer’s Stage I submission. Developers that are invited to participate in Stage II must download, fill out and submit the Stage II forms as part of their submission. Swan Lam, Contract Administrator, email at Swan.Lam@hacla.org. Please note that Ms. Lam is a contact solely for the Developer RFP. With all other RSP related questions please contact revitalizeRSP@hacla.org.